The Bishop of the diocese of warri was reportedly involved in an autocrash that was meant to claim his life but got sustained by his mercy yesterday. Details of what actually led to the accident is still sketching but according to multiple reports, the Bishop's car somersaulted three consecutive times but he came out unhurt and without any visible scratch. As a way of telling God thank you for sparing the Bishop's life, a facebook user and also a clergyman took to his facebook page to recount and also to appreciate God for saving the bishops life. 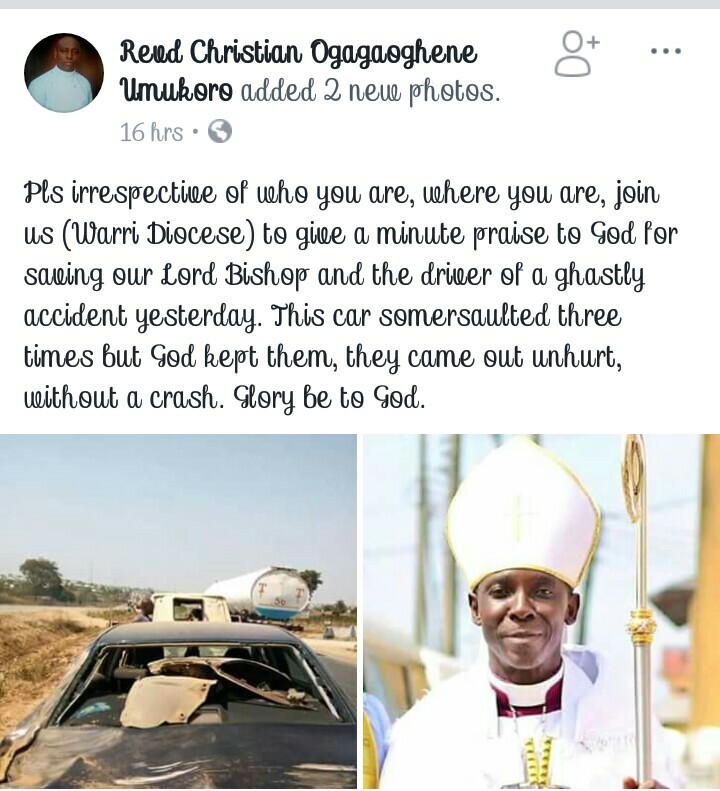 Pls irrespective of who you are, where you are, join us (Warri Diocese) to give a minute praise to God for saving our Lord Bishop and the driver of a ghastly accident yesterday. This car somersaulted three times but God kept them, they came out unhurt, without a crash. Glory be to God.